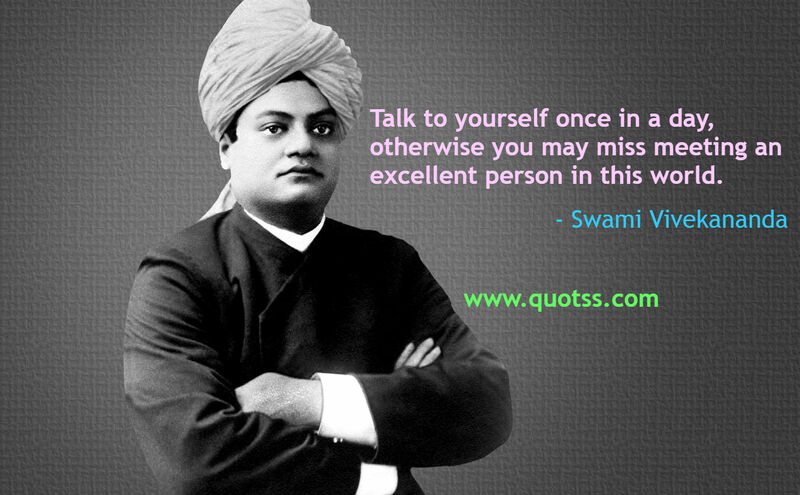 "Talk to yourself once in a day, otherwise you may miss meeting an excellent person in this world." "Do not look back upon what has been done. Go ahead!" "Take up one idea. Make that one idea your life--think of it, dream of it, live on that idea. Let the brain, muscles, nerves, every part of your body, be full of that idea, and just leave every other idea alone. This is the way to success." 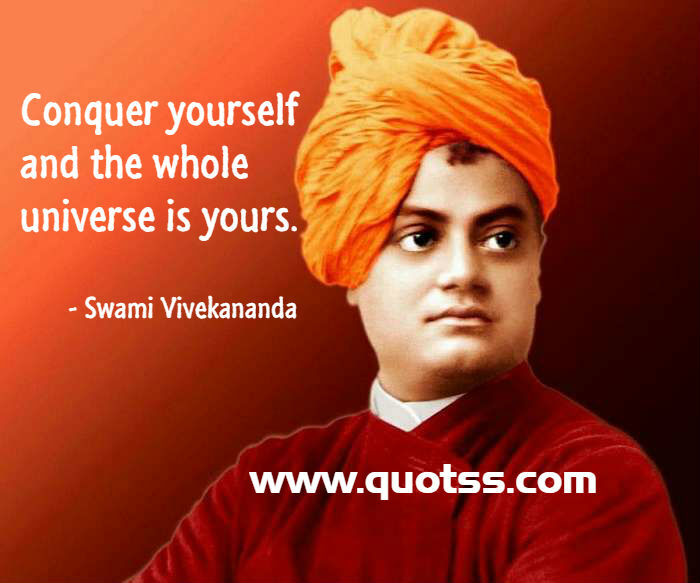 "Conquer yourself and the whole universe is yours." "Stand up, be bold, be strong. Take the whole responsibility on your own shoulders, and know that you are the creator of your own destiny. All the strength and succor you want is within yourself. Therefore make your own future." "Take risks in your life, If you win, you can lead! If you loose, you can guide." "We must patiently practice every day." "All power is within you, you can do anything and everything."